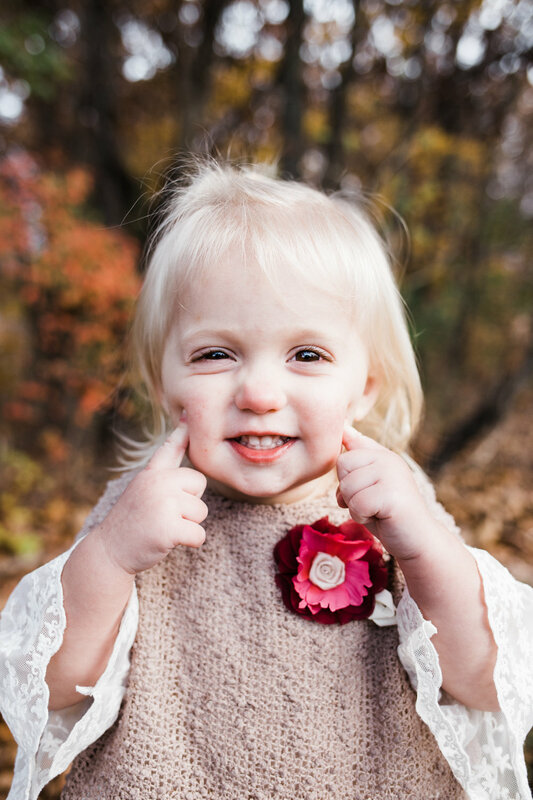 When Cody reached out to me to capture some fall pictures for her girls, I couldn't wait to meet her out at Whitmore Park in Decatur, IL! I have known Cody for many years, back to elementary and high school, so it's always great when I can catch up with an old friend! It adds some extra excitement when we can chat and see how are lives have changed! Her girls are such a burst of energy and light. 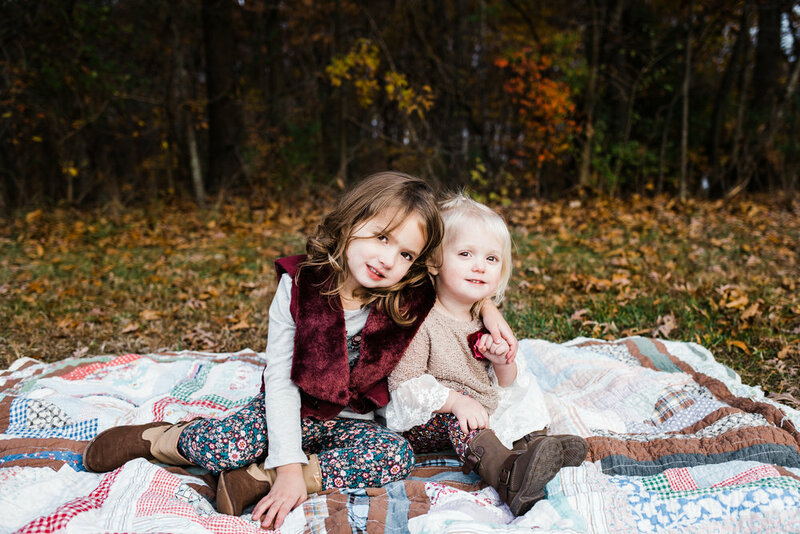 They were so ready to play in the leaves, snuggle close and more importantly finish up with pictures so they could go play at the playground before it got dark... girls after my own heart, am I right?